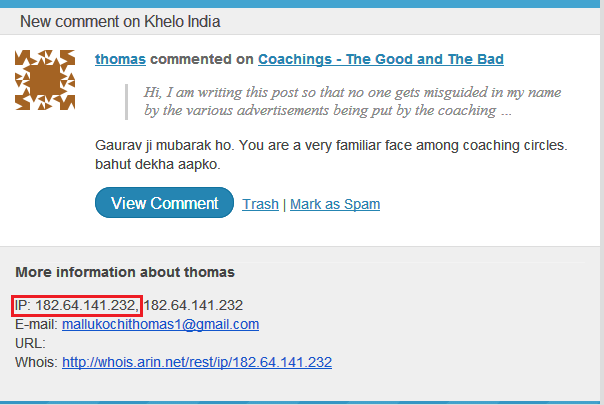 Looks like my post on my personal experience with the coachingwallahs has unsettled quite some nerves at their end. After the post, I began to be bombarded with some nasty comments in the comments section – all apparently coming from different different aspirants. I couldn’t understand it until I checked my email. 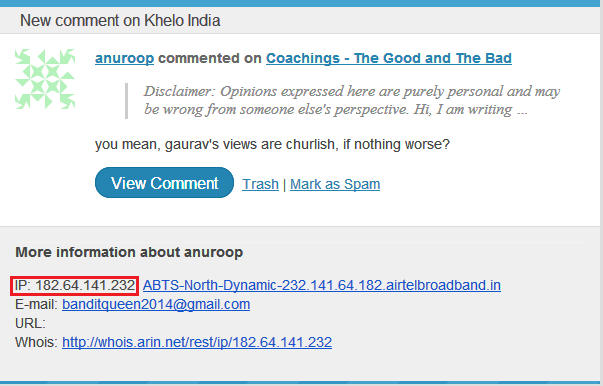 I ve put the settings in my blog that if anybody makes a comment, I get an email notification. If some one wishes to be updated with latest technologies therefore he must be visit this website and be up to date daily. Great Effort , Coming Forward and helping all aspirant. Thanks for opening eye of new aspirants regarding pros and cons of Coaching and truth about them. 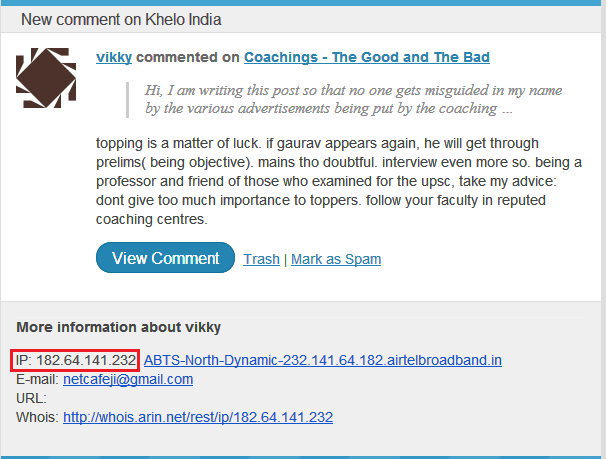 I am a Victim of the said “Top Institute” & Its marketing Strategy , This said Coaching makes a hype of shortage of seats , makes people to register online for few batches provides waiting list and then accommodate all of them by increasing no. of batches.easy way to show the huge demand. When I started going for the class , to my utter surprise there was nothing in their teaching which made them the so called “top Institute”.Only marketing and money is what they strive for. Hello sir Congrats, seeing a person like u inspires us a lot and makes us to to something great in life..sir i am very much confused with the p-1 GS as i am getting consistently low marks in it…In 2013 prelims i got 160 total,p1-50 and p-2-110 and in 2014 prelims i got 168 total,p-1-100 and p-2-68 according to key answers provided by raus ias coaching centre,i am totally confused whether i am capable of doing it or not, coz since last attempt i have scored only 8 marks more than last year…as i am working in national insurance company as an assistant..thinking of quitting the job for complete preparation but due to uncertainty of cracking exam and also of financial need i am continuing it, so please clarify me whether average rural students like us can able to crack the exam who have little English language writing skills (in mains)…and also i am not able to find a way to crack the p-1 of GS ..please suggest me sir ..i am waiting for the reply from u sir..
Sir,any conspiracy can’t misguide to your followers until you will debunk the truth of such comments. 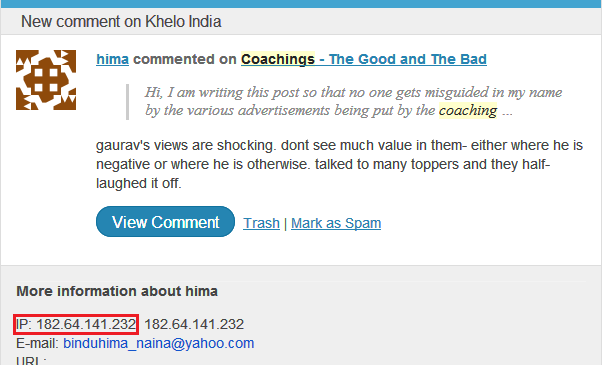 This is really shocking.These coaching wallahs would stoop to such level,its like a mafia . hello gaurav sir,i thank you for boldly speaking against the coaching walas,,it will be an eye opener for aspirants… i truly admire your simplicity and determination..
First of all congratulations to u i saw ur interview in ek mulakat, really Im inspired so much, u hav a great vision. Sir, my question is that im confuse in choosing optional subject, I like economics , bec I like studying economics, like facts & reasons to know, sir but everybody says me that dnt take economics not scoring very tough, conceptual etc…i did my graduation in B.A. sir really very inspiring and helpful guidance by u.
hats off to u for ur clear stand against those type of marketing funda based poor coaching walls. m a third year m.b.b.s student preparing fr ias. ur guidance is really helpful to ppl lik us. 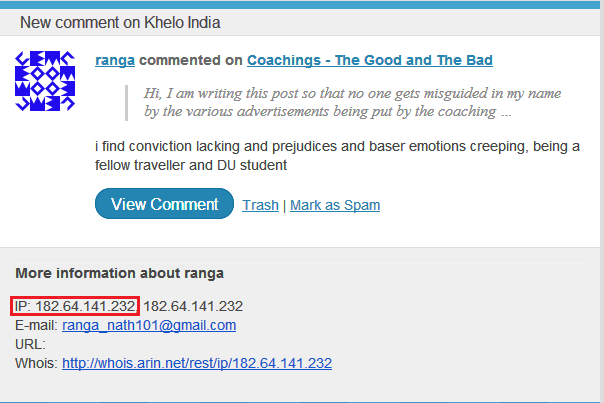 usually i dnt write comments fr ny blog bt ur hard wrk for ias aspirants tempted me to do so. 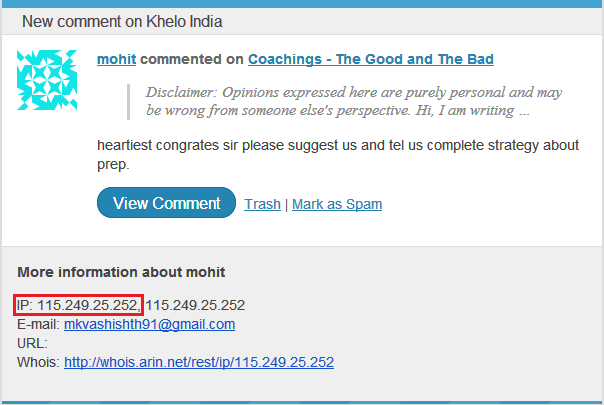 i wil contact u in future(aftr being an ias)so dt we can improve our country. n pz dnt evr stop writting..u r doing it so well.i feel lik thanking d girl for whom u startd writing….he..he..he..jst kidding. keep up d gd wrk…ppl really need u.stay blessd. pz reply if possibl….i wd b really happy. 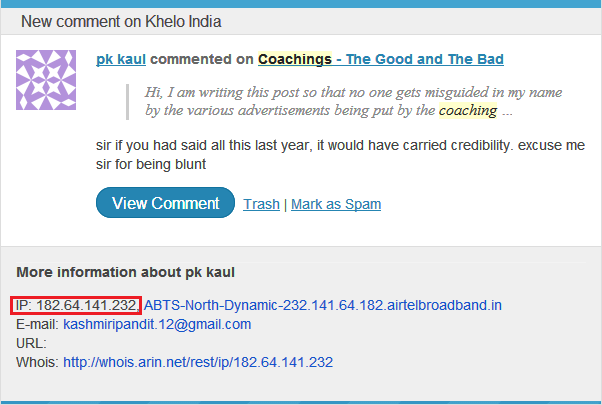 Coaching institutes have always tried their best to fool the aspirants. I have become a victim of an IITJEE coaching. They dont care about the students. They even astray the aspirants to make mokey for themselves. 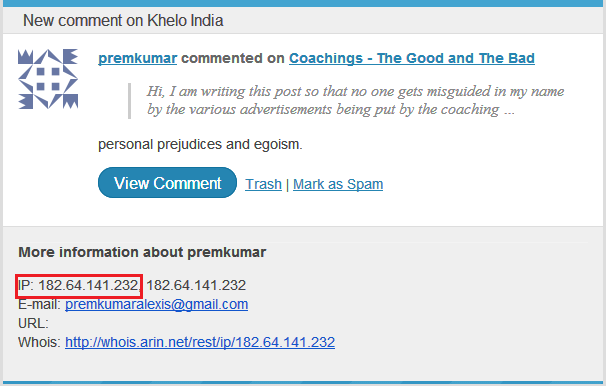 We really need to inquiry about any coaching from students reading in it before joining it. 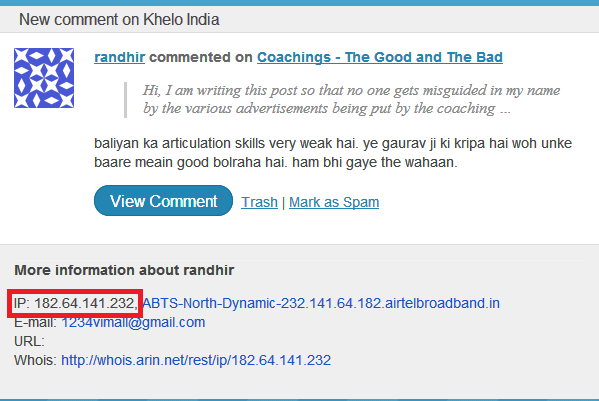 Gaurav sir is really doing a nice job by guiding the aspirants to be on right path. You inspire a lot! You are my HERO! I wonder why did i get someone like you before starting my JEE preparation. I have just completed my B.Tech in Electrical Engineering. 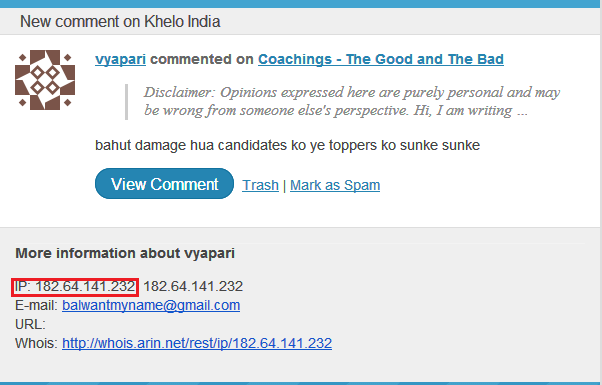 I don’t have enough idea about the upsc exam. I want to choose Public Administration as optional. Is it a good choice? I don’t have much knowledge in most of the subjects, if you suggest some good website for preparation it will be so helpful. 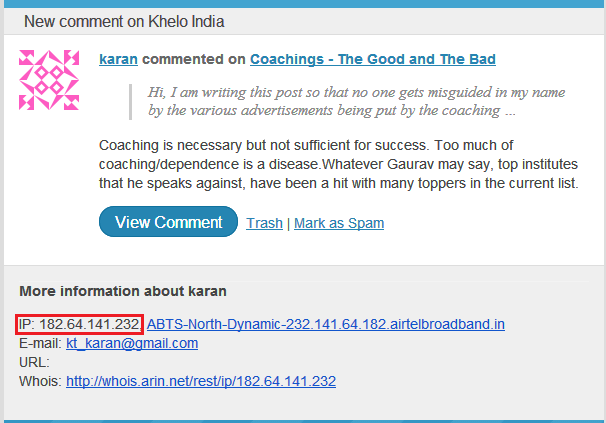 Hello Gaurav Sir , thanks for ur valuable guidance. Will u plz guide us about history videos, like from where to see these videos? Hello sir , belated congrats …. 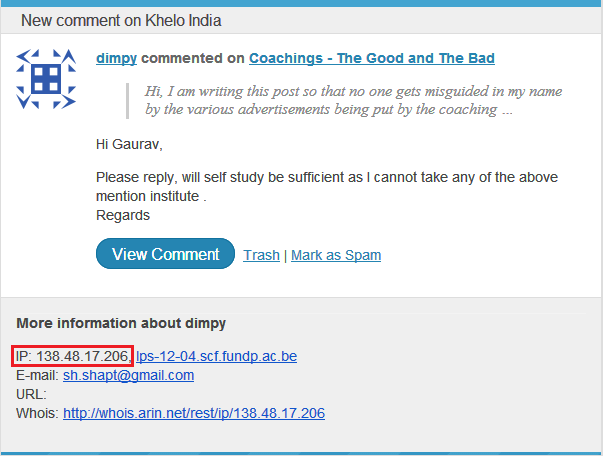 Should i go for ias without any coaching. HA-HA .. Someone give the coaching wallah’s some ice, they got burnt. 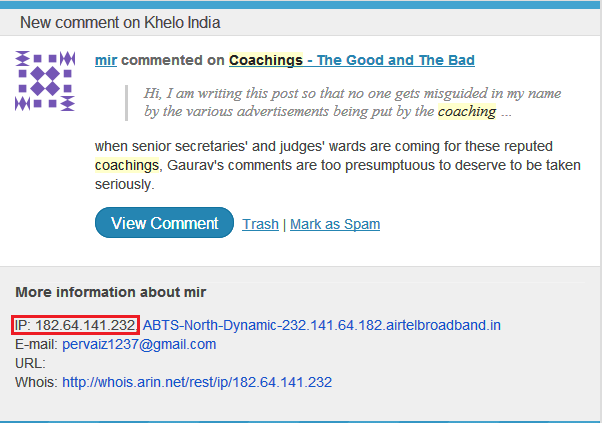 Sir I feel better by read your blog & comment on clear IAS about coaching institution . but I am confused sir , there is some ofline material providers “vedios, notes in pdf” like byjus coaching class . Is they are good. please comment on it. Hello sir … You have done a really good job . Gaurav is a computer engineer that too from IIT. hope you finds it helpful. You really is a source of thought to me, always. Though there is lot about you I feel as a guide, as a teacher etc. And would love to share in person if ever get a chance(😍). But this time really need some guidance as I have started preparing for the coming CSE 2019. 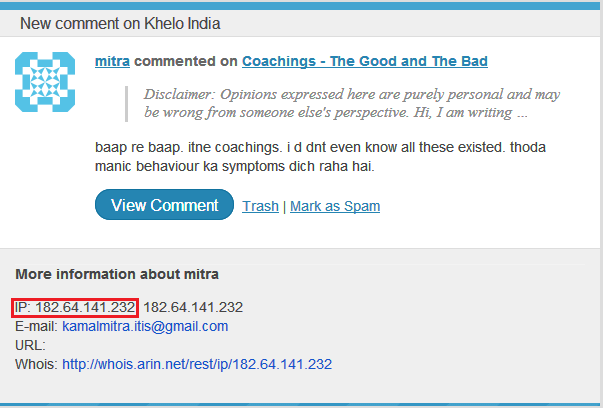 So was searching for some guidance on coaching as I couldn’t find anyone more trustworthy then you. But how to reach to you!! 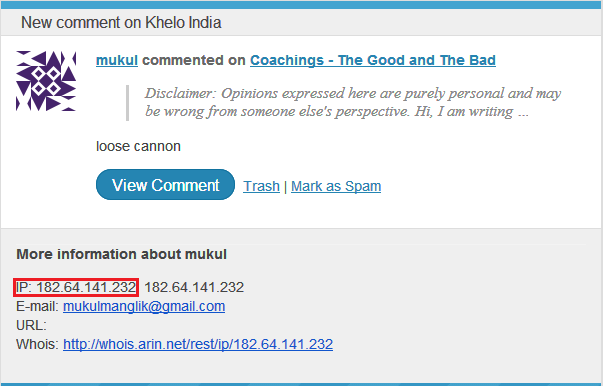 Then I encounter the remark you made that you get mail of any comment we put here. So hoping that you will read it, acknowledge my regards and would give me some guidance. Query: I really believe in self study, I too trust my self and on my strategies but there are some points which are motivating me to go and try for coaching, e.g. 1. Knowledge of competition: is it true that sitting at-home won’t give you a competitive environment and you will end up lost in your own world? 2. Content will get effected: there are sayings that teachers are important and will provide you different insights all together and there are no substitute for it. 3. Better managment of time: you will get a proper time table and will get used to it and will do tasks in a rhythm. Though there are other things as well but to me right now these questions are continuously engaging me! Please help me with your insights on this that to what extent going for coaching is really a need!! Are your all notes enough​ for pre?